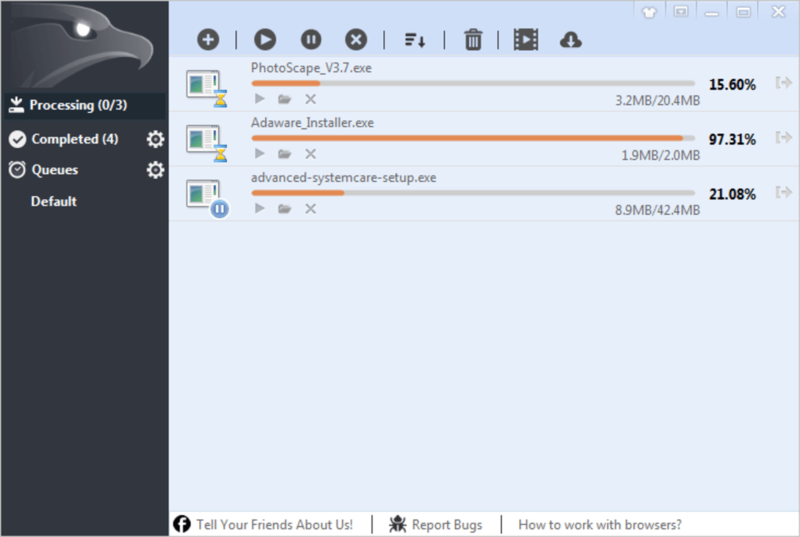 A great freeware download manager for PCs, EagleGet provides a visually appealing way for users to keep track on their downloading, no matter what they happen to be drawing from the internet. It acts as an accelerator which means your downloads run more rapidly, but also helps you to keep all of your downloaded files and apps organised. It is a multi-function utility app that will help many people, and it can also be used as a YouTube downloader. In short, this app makes use of an advanced software technology to make downloading easier. 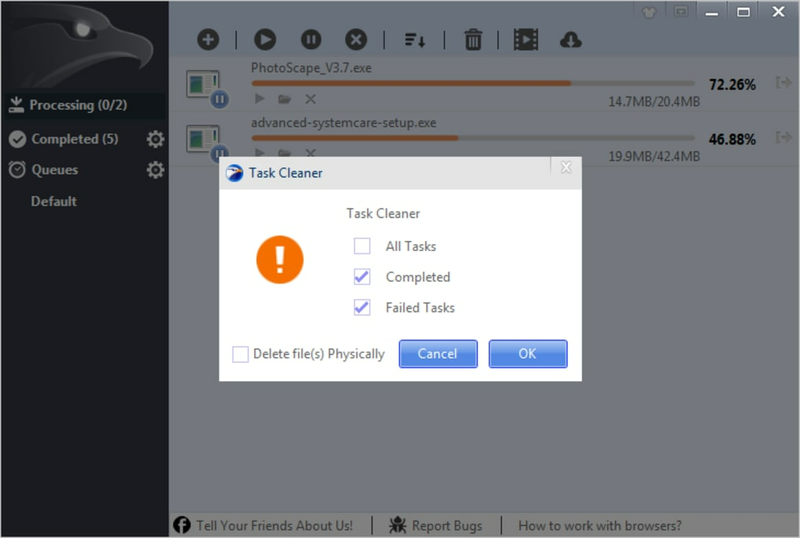 The multi-threaded software works by splitting files into multiple sections and subsequently transferring them to your computer simultaneously. The makers claim that this approach allows you to augment your download speeds by up to six times, but these results are not always possible, depending on what else your internet connection is being used for and so on. Handily, the software can automatically update any expired download URLs. Importantly, it does this without the need to restart meaning you don't have to go back to square one, thereby saving both time and effort. Another cool thing about this programme is that it provides users with multiple means of being informed about their chosen downloads. For example, the so-called 'Silent Mode' allows users to temporarily switch off download notifications, ideal if you happen to being doing something else in full screen mode which would be interrupted if a pop-up notification occurred. Basically, the programme allows you to do more without increasing your system resources, in other words to maximise your productivity. EagleGet provides users with a great degree of customisation. Although it is fine to interface with in standard mode, users who would like to alter the look and feel can do so. For instance, you can choose the colour and background image for the app, making it more visually appealing. It runs with all of the commonly used internet browsers, such as Chrome, Firefox, Internet Explorer and Opera. Even if you like to use more than one browser at a time, it will allow you to enjoy accelerated download speeds. Furthermore, EagleGet provides users with a great deal of control over their downloads. 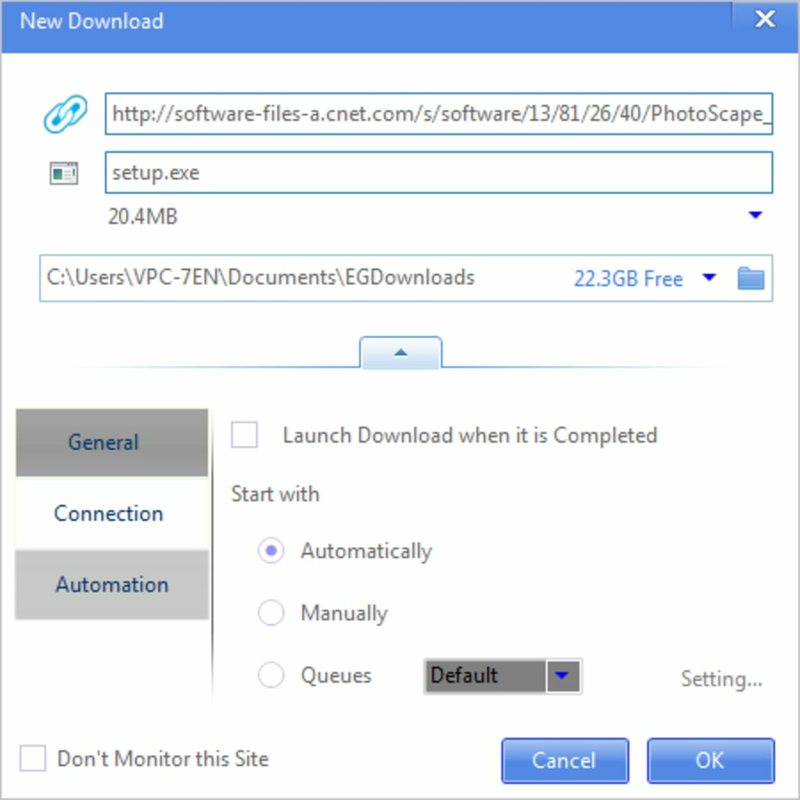 Users might set up several download queues, for instance, or sort their downloads according to their chosen criteria, such as games, utilities or videos, for example. What's more, users can implement speed limits for certain downloads if they want. This means that lower priority downloads don't take a disproportionate amount of the bandwidth at any one time. It is even possible to use the software to remove unnecessary downloaded files to keep everything in good working order. Lastly, the download manager is designed to protect your computer. It features an automated malware checker that also runs a good anti-virus product. This can be set to perform a scan on completion of every download, if wanted. Indeed, the programme also has a checksum verifier that makes sure your downloaded files match their originals. There really is little to criticise this app about. For a freely available item of software there are few download functions that it does not do or cannot be configured to do. It is ideal for anyone who downloads multiple files at a time, but will also suit occasional downloaders as well. Free universal download accelerator, download music, documents, applications and videos with one click. Free universal download accelerator. Supports HTTP, HTTPS, FTP, MMS and RTSP protocol. EagleGet uses multi-threaded technology to accelerate downloads. You can download video, music, documents, applications in Chrome, IE, and Firefox with single click. Support all major video websites. Resume broken downloads and save your time. The well-designed interface and task manager will help you do more with doing less, maximize your productivity. EagleGet is completely free without any additional conditions, no malware, adware or spyware. (1) EagleGet not only downloads video from popular websites, but also support HTTP, HTTPS, FTP, MMS and RTSP protocol. (2) EagleGet uses multi-threaded technology to accelerate downloads. (3) EagleGet does not limit the amount of simultaneous tasks. (4) EagleGet can be integrated into Chrome, IE and Firefox. 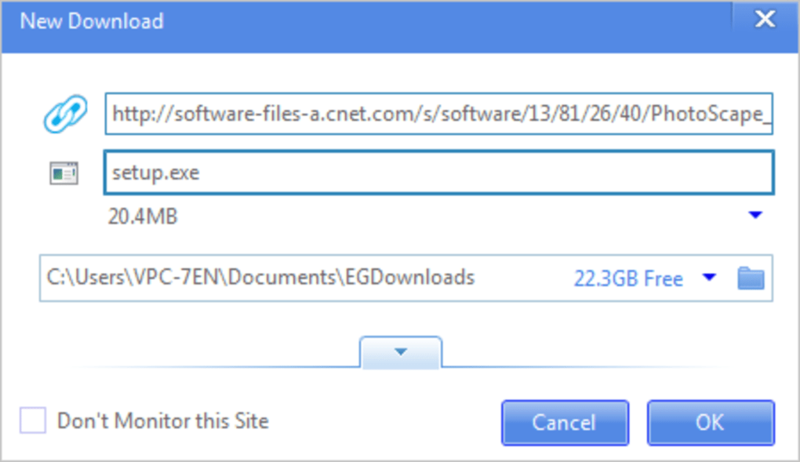 Simply click on the download link in a browser, and then EagleGet will automatically take over the whole download process. 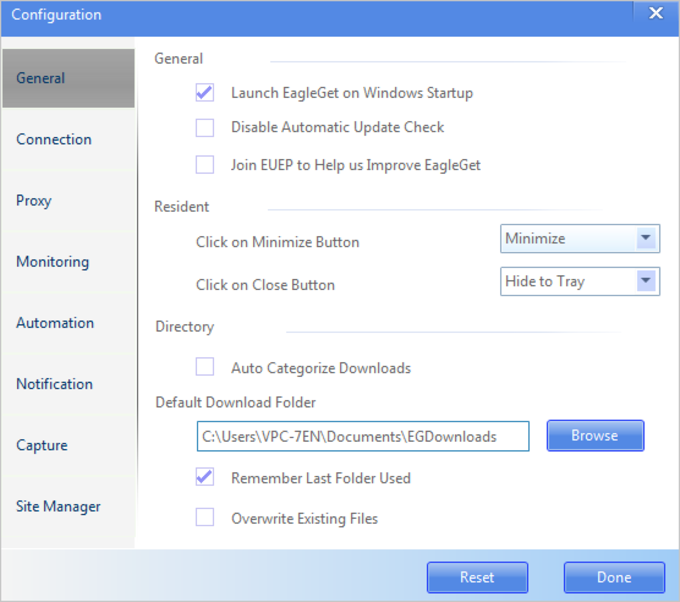 (5) With EagleGet’s clean and tidy interface, you can add and manage download tasks easily. (6) EagleGet is completely free WITHOUT malware, spyware or adware. fast & furious. 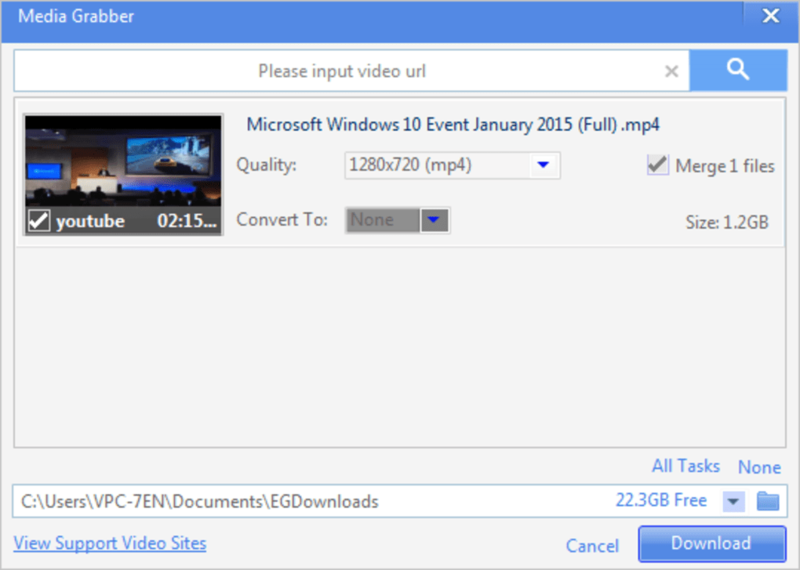 a very very user friendly YouTube downloader software never tested ever really like it. Great Downloader. A Great Download Manager. Support for many kind of files, including FLV, IMG, and many more. This was the best no-pricing download manager i have ever tried. You must try this software. many more, i can't explain all of them. What do you think about EagleGet? Do you recommend it? Why?